The Giant African Land Snail is considered as one of the most invasive pets in the whole world and is believed responsible for carrying a parasite in its slime, that is actually responsible for a form of meningitis that is very harmful to humans. There does not seem to be a much appeal to keep this animal as a pet, and it is actually illegal to do so in the United States. So today here at Pet Nurturing shall discuss the giant African land snail. 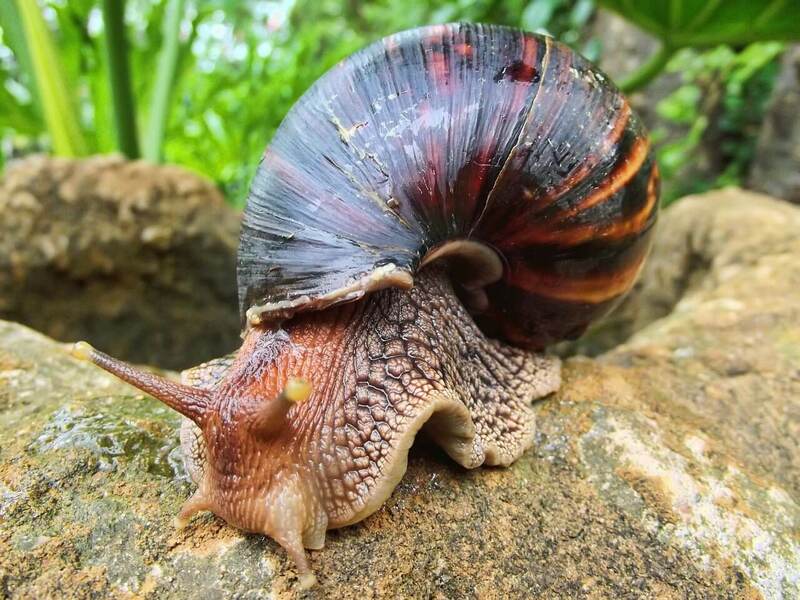 Scientific Name: Achatina marginata (West African land snail), Achatina achatina (tiger snail). Size: Achatina fulica grow to about 3 or 4 inches long, the shell length, and Achatina achatina can grow up to 11 inches long, the body inside would stretch to about 15 inches long. The difficulty of Care: It is advanced, because from acquisition to making sure they don’t breed and infest, you have to keep a keen eye on this snail. 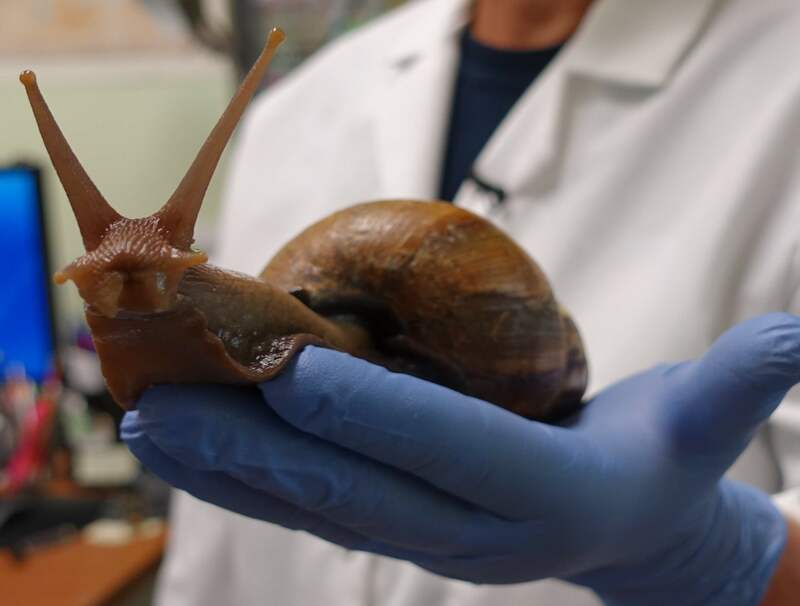 These huge snails are actually very relentless omnivores, and they have been known to chew through plaster walls, theoretically because they do contain trace amounts of calcium, which snails actually need for shell health. Fortunately, they are not carnivores. They are, however, extremely very resilient, which is why all efforts to eradicate them have been difficult. 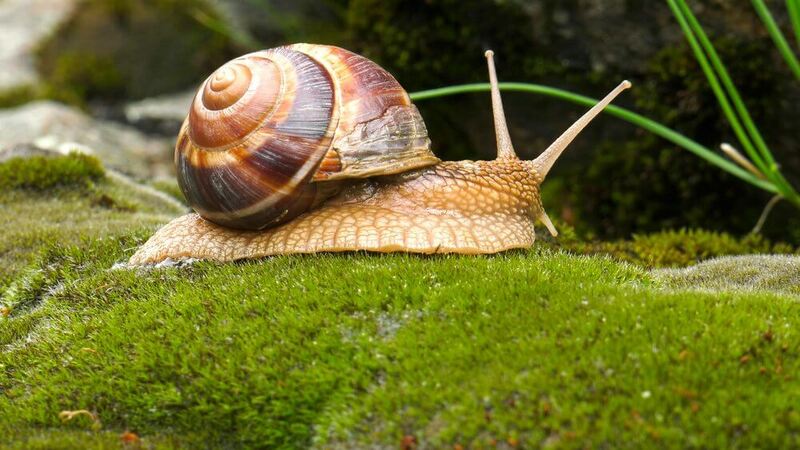 Despite their such voracious appetites and everything, many people in the U.K. and Asia keep these snails as their pets, describing the snails as having very cute faces and deeply expressive eyes. Giant African land snails are actually hermaphrodites, which means they possess both female and male reproductive organs. Two snails are still actually needed for breeding, but they are very prolific breeders. A fulica can reportedly lay up to 1,200 viable eggs per year, with several hundreds of eggs in a single clutch. If you are still thinking of keeping giant African land snails, you must be extremely careful about disposing of the numerous eggs produced. 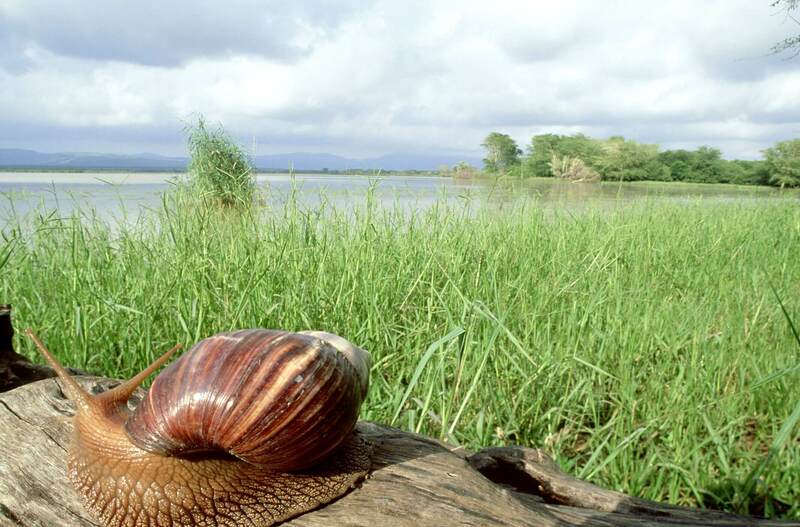 Infestations of giant African land snails can be a significant threat to the indigenous plant life, just about anywhere the animals live so they need to be kept an eye on and can not just be left to the environment. Like the other snails, giant African land snails are severely prone to aestivation, which happens when it’s in an enclosure or an environment that is too dry. When this happens in the captivity, the snail forms a membrane over the opening of its shell and actually seals itself inside, hiding the cute and curious face that makes it a very good pet, and requiring you to mist and monitor the heat closely to bring it back out. Snails also are very susceptible to infestations of the mites and flies. 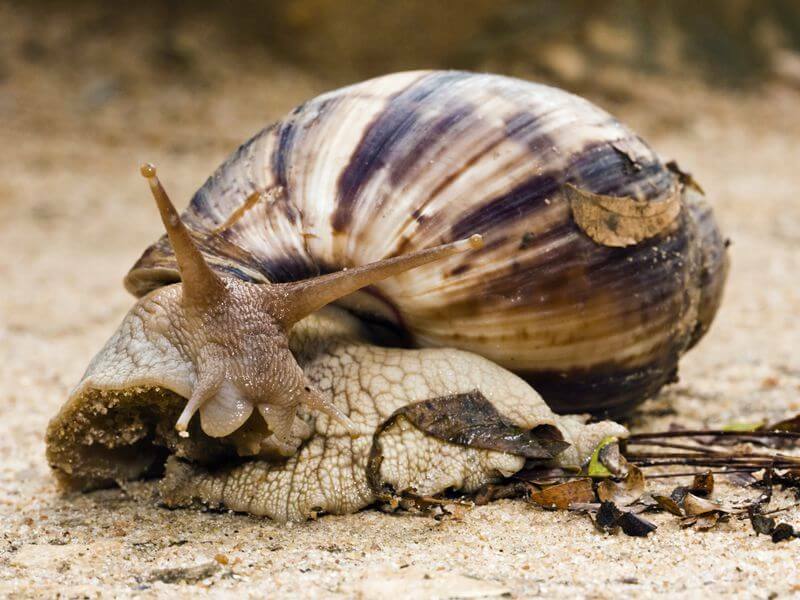 While most such pests are actually a little more than a nuisance and can be eliminated by some careful washing, some mites can burrow into the snail’s body and make it lethargic and uncomfortable. Giant African land snails actually need a source of calcium to keep their shells healthy. 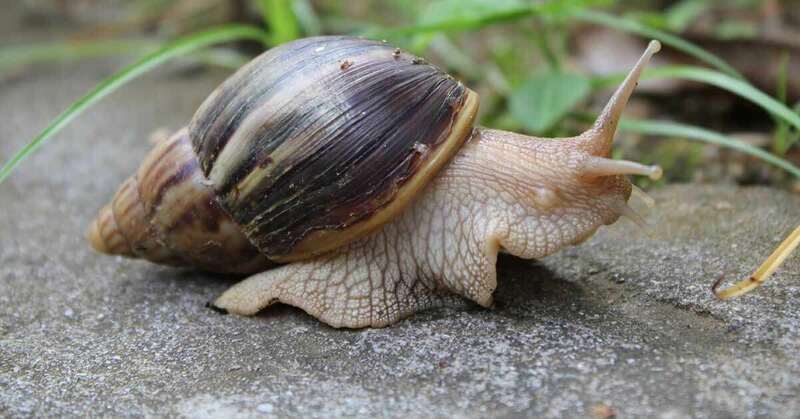 While a snail can do self-repair of the minor cracks in its shell, some cracks may leave its body exposed, which may ultimately lead to dehydration. 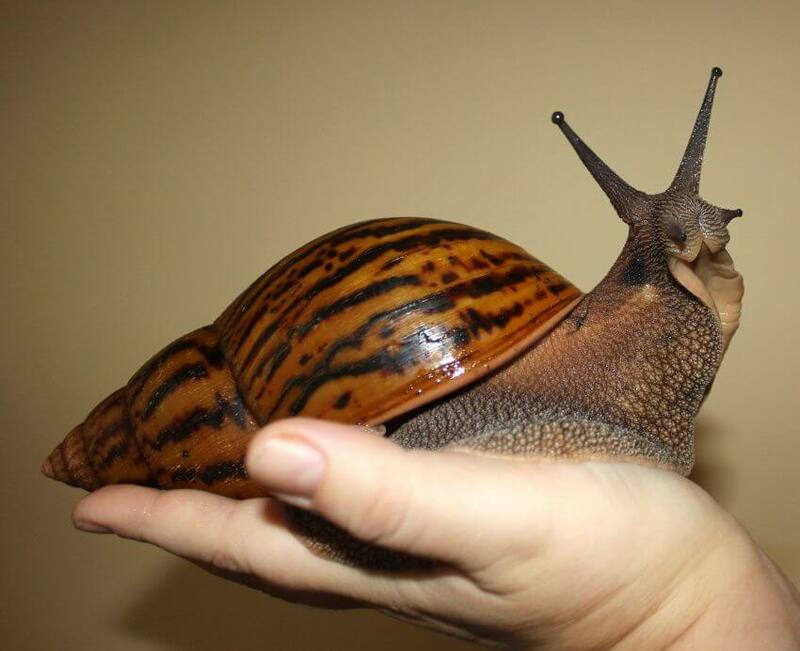 Most of the exotic pet veterinarians in the U.S. does not treat giant African land snails because they are illegal. So this creates some problems for people who want to adopt a giant snail but if you have proper certification or legal permission, then you don’t have to worry about such things.